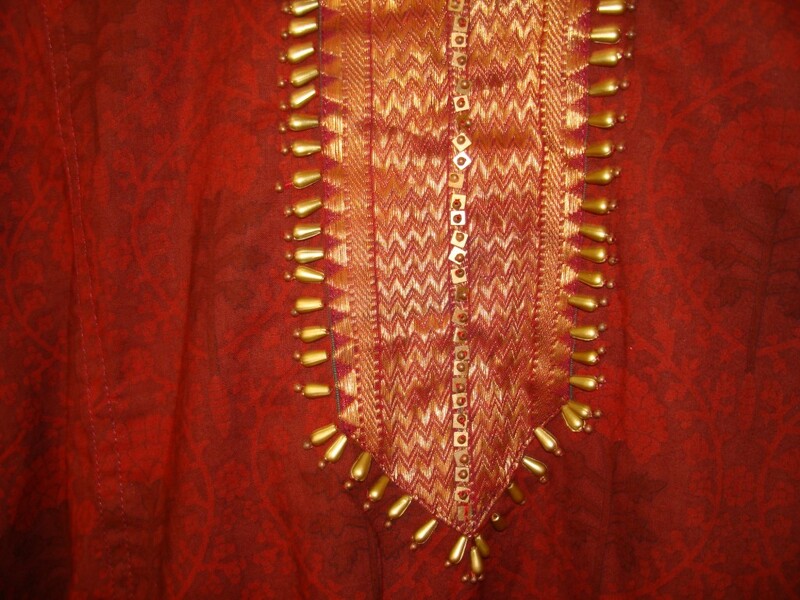 For the maroon tunic with zari border , antique gold beads and sequins were used to embellish the yoke. Sequins and round beads were used for the centre, and cone shaped beads and round beads were used for the outline. Sometimes, these gold beads are very useful to embellish a simple outline. 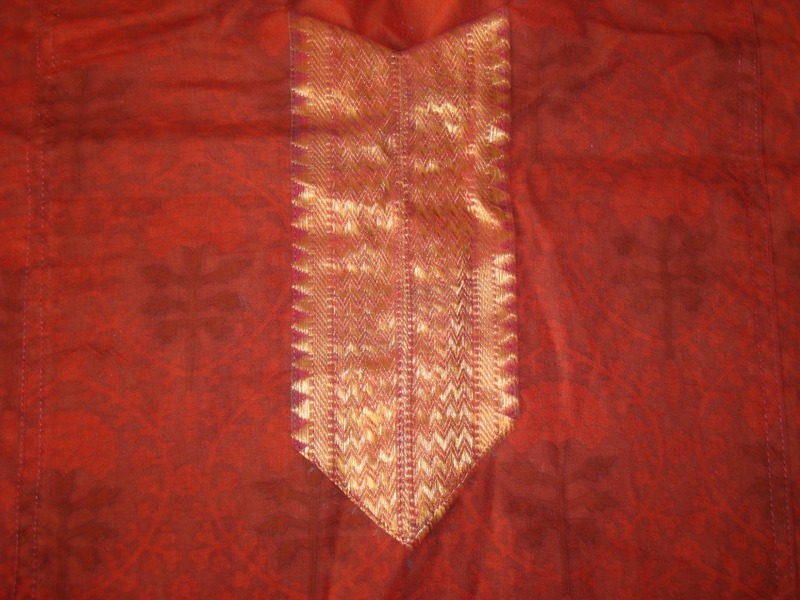 This is one such project, where an embroidery may not have the same effect. 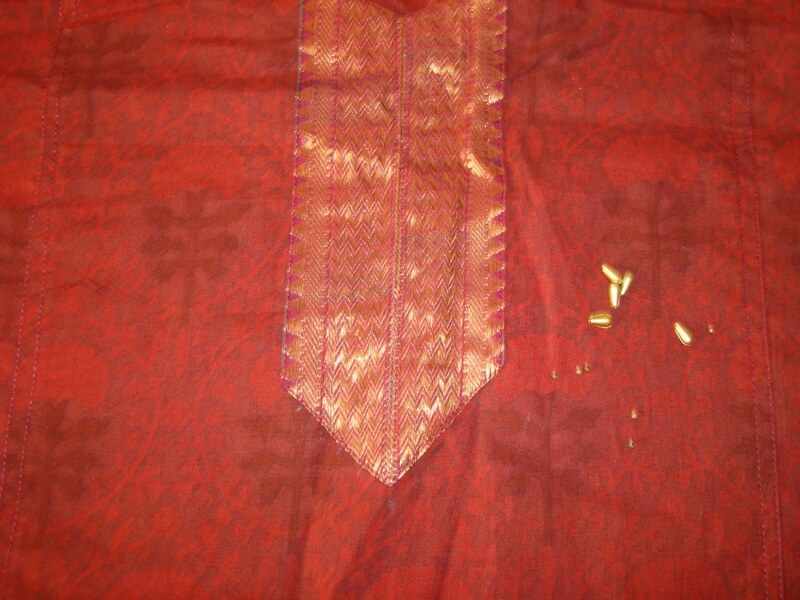 This tunic with this border looked good, with the printed fabric, I felt embroidery will not look attractive enough, so decided to use antique gold beads around the zari yoke. 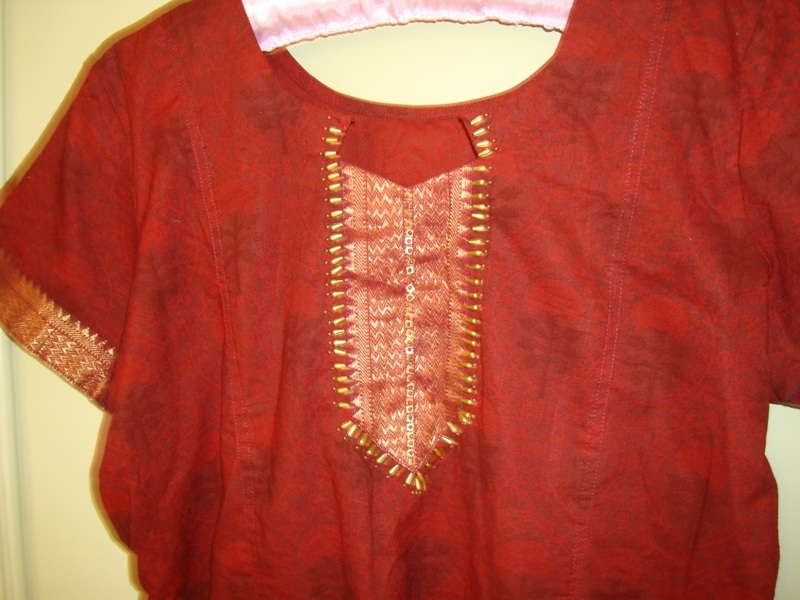 The completed tunic on my next post.